Back in 1993, when bays 2 & 3 were laid out, there were home built concrete ties set every so many feet for the track. I should know, as Bruce Wilson and I set the ties. That was my first visit to the WW&F. I remember from my first visit in 1990 that there were concrete ties in the original section of bay 1 as well. Most of them are fine. At least one was damaged during removal. 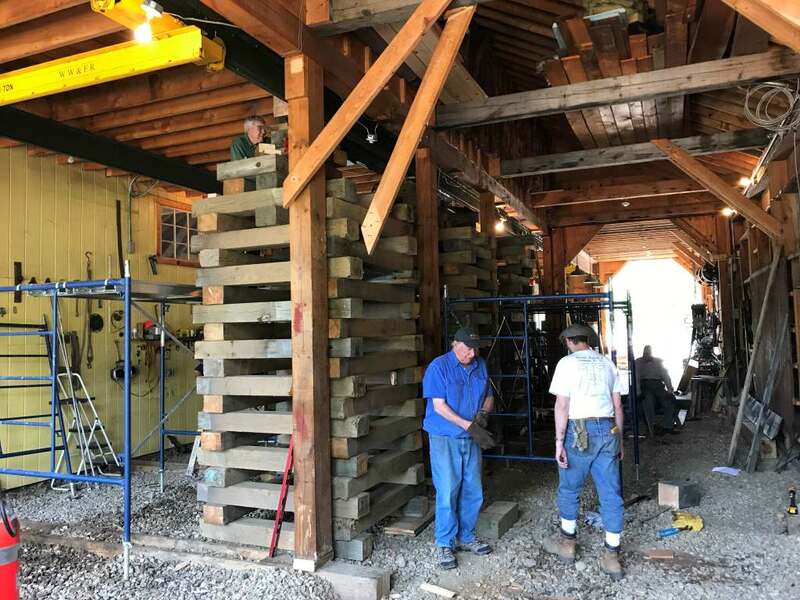 From early afternoon Saturday (July 29th): Cribbing installation is well underway between bays 2 and 3 of the shop building to support the second floor and roof when posts are removed and steel beams with a new post are installed. And there's Fred sitting down. Thanks for verifying others can see the photos I posted besides me! I'm impressed by what youze guys are doing with all that cribbing. As with many projects, the preps are often as much or more work than the task itself. Hope setting those couple-ton beam segments goes well. The more pics the merrier. Doing coming slab work should be a snore. 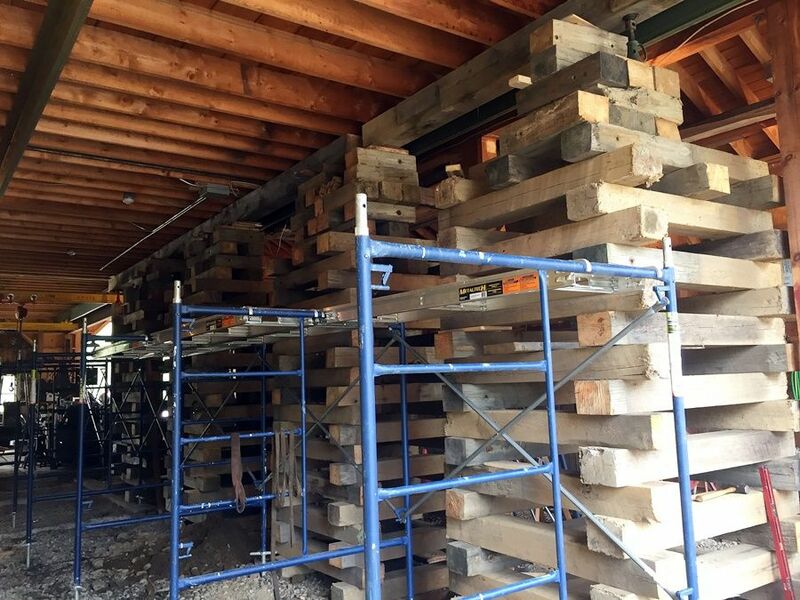 Cribbing set up in bay 2 to hold up the second floor of the shop building. 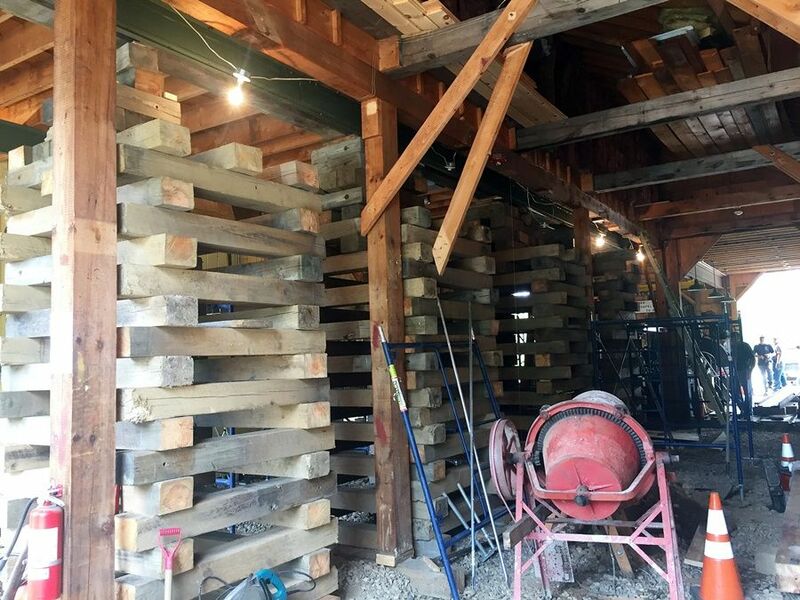 * The northern most tie cribbing and support timbers were put in place so there's a complete support system to hold the second floor. * The temporary hoist has been set at the south end of the original Bay 3. This will be used for lifting the I beam in place. * End cleats were installed on the south I beam and the beam was moved to it's staging area in Bay 3. * Excavation for the center support post footers was finished and construction of the concrete forms began. No wonder Joe is looking for ties. They are all hidden in the car shop. The place looks absolutely bomb-proof. Shop work, culvert work, switch work, flange work. Amazing. BTW, what happened to boxcar 67? 67 is in the car storage building until the shop floor work is complete.